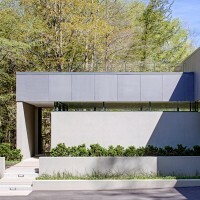 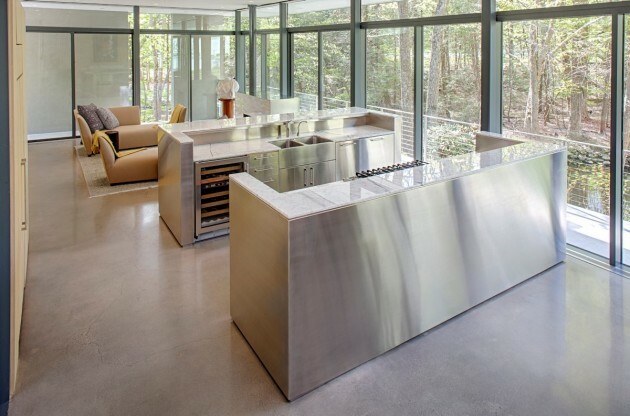 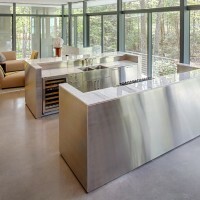 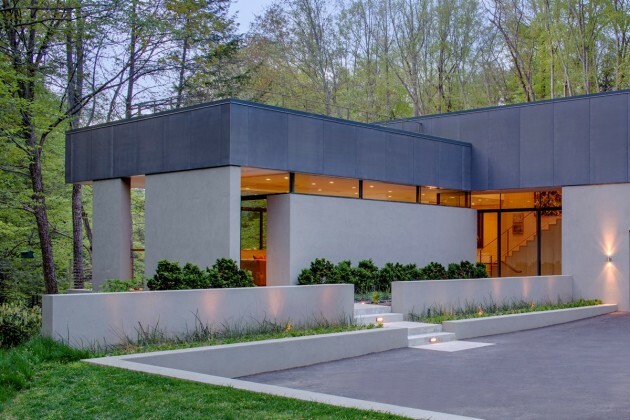 Specht Harpman Architects have designed the Weston Residence in Connecticut. 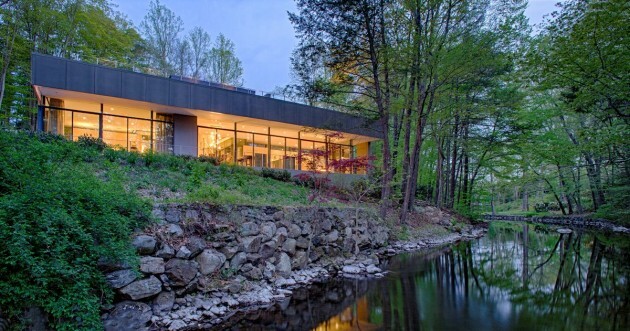 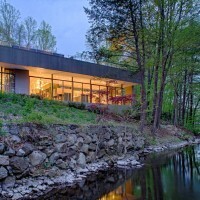 The Weston Residence nestles in a valley adjacent to the Saugatuck River. 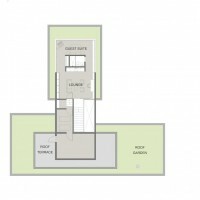 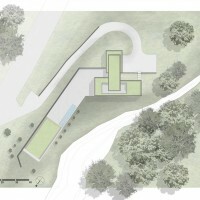 In plan and section, the elements of the house engage the site in a way that purposefully blurs the transition and distinction between the built and natural environment. 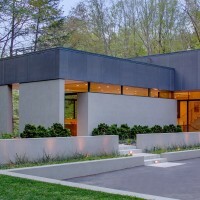 As the house is approached from a road that begins high on a cliff above, the roofscape—or fifth façade— becomes a critical element of the design. 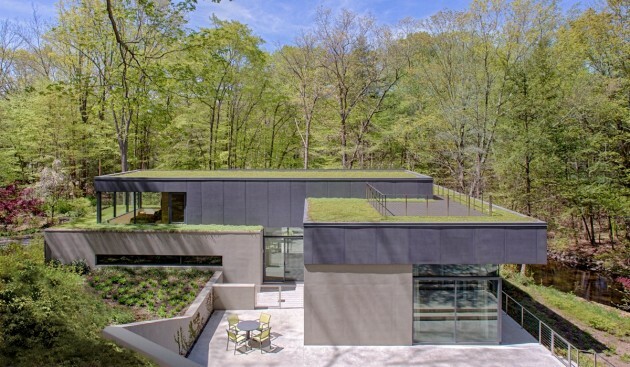 Terraced planes planted with year-round, region-specific succulents step down the hill. 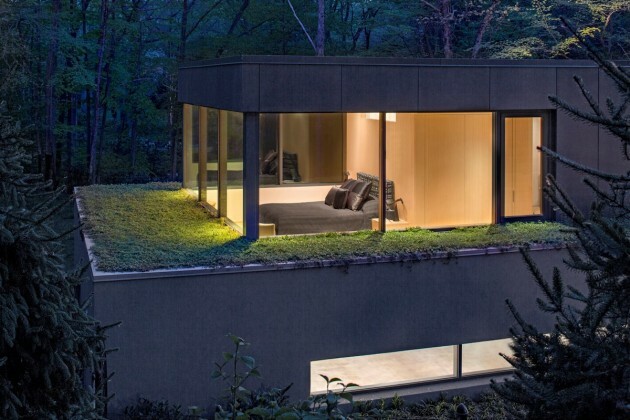 Bedrooms project out into these roof gardens, giving a feeling of being fully immersed in the landscape. 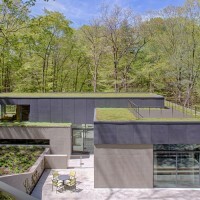 The planted roofs are also integral to the high-performance building envelope. 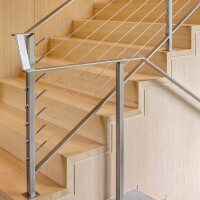 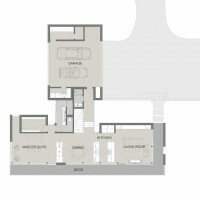 Interior and exterior spaces are joined through views, portals, and material continuity. 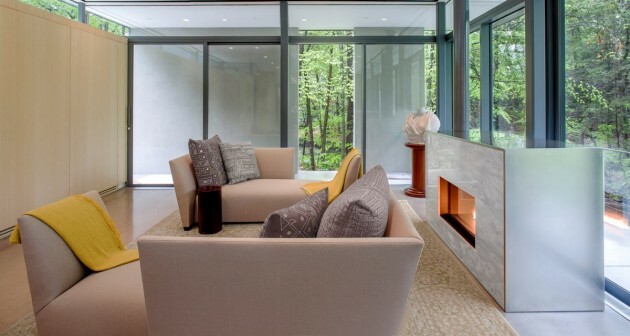 A glass-backed fireplace provides an elegant surprise. 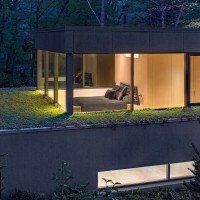 Like other glass houses, the landscape becomes the “decoration” for the rooms, playing with transparency during the day and reflectivity at night.